Spruce up your look using this Swiss Army Victorinox Vivante watch. 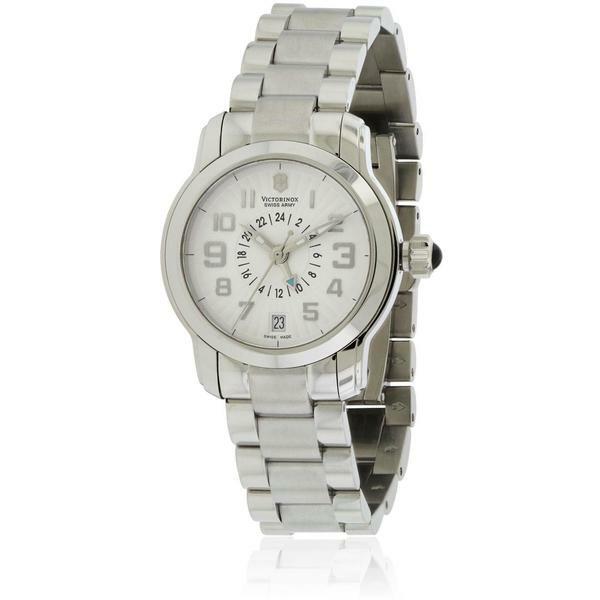 This ladies' timepiece is made of a silver-colored bracelet and dial, and is water-resistant, making it a great accent piece when doing outdoor activities. My boss seems to really like this watch.